Star-studded opening week tournaments have already started to shift the state rankings, giving us three new No. 1’s in Georgia’s three biggest classifications. Class AAAAAAA has dominated its smaller class competition to tip-off the season and has seen its own heavyweights already start to knock each other off. No. 6 Norcross plummets five spots after opening the season atop the heap. No. 5 Wheeler used a balanced attack to shock the Blue Devils in their home opener at the On the Radar Hoops Tip-Off Classic 62-55. Malachi Rhodes (Bucknell) and Roscoe Eastmond (Denver) combined for 31 points. Up to the top is No. 1 McEachern. The Indians rallied to beat Holy Spirit Prep 75-72 at the GE8TOC, getting 16 fourth quarter points from Sharife Cooper to neutralize a 31-point effort from Anthony Edwards. The Indians followed up with a 71-65 win over No. 7 Westlake, who is up a spot after earning wins over Class A-Private No. 1 St. Francis 78-75 and Class 5A No. 4 Eagle’s Landing 79-69. Defending state champion No. 2 Meadowcreek has shined defensively in wins over Wheeler 70-54 and No. 4 Discovery 70-56. The Mustangs held Wheeler to 17 second half points and saw Damian Dunn (Temple) go for 26 points, 13 rebounds and 5 assists. Speaking of Discovery, they pounded Class A-Public No. 4 Drew Charter 71-45 before holding off Preseason Class 5A No. 1 Southwest DeKalb 70-68 on a Jaden Walker game-winner. No. 3 Grayson is off to a 4-0 start highlighted by wins over Class 5A No. 10 Woodland-Stockbridge 62-54 and Class 6A No. 4 Dacula 66-54. Deivon Smith starred in their win over Dacula with 22 points and 9 rebounds. No. 8 Mountain View beat Class 3A No. 7 East Hall 66-61, No. 9 Lambert defeated Class 4A No. 4 Woodward Academy 71-64 and No. 10 Pebblebrook pulled away from Class 5A No. 6 Cedar Shoals 65-48. An injury to Malik Battle has left Class AAAAAA No. 2 Alexander’s star-player sidelined. His scoring void was apparent in the Cougars’ 72-39 loss to Mountain Brook (AL). Alexander slips from their top spot as they wait for Battle to heal and now sees Region 5 foe No. 1 Tri-Cities assume the position. The Bulldogs overpowered South Paulding in the season opener 79-58, pulling away in the fourth quarter. Tri-Cities’ depth was on full display as 10 Dogs scored led by reigning Freshman of the Year Peyton Daniels’ 24 points, 9 rebounds, 2 assists, 2 steals and 2 blocks. Coach Omari Forts got 25 points from his bench. No. 4 Dacula slips two spots after losing to Grayson 66-54. College of Charleston-signee Brenden Tucker netted 21 points while Mekhail Bethea had 15. No. 5 North Atlanta survived a scare from Chamblee 60-59 while No. 6 Langston Hughes wasn’t so lucky in their season-opener, the two-time defending state champs losing 60-54 to Shiloh. No. 8 Tucker has had mixed results thus far but a 3-1 record is a good start. They routed Creekside (89-52) and Stephenson (88-45) but barely held off Lovejoy 63-62 and couldn’t score in a 50-43 loss to South Gwinnett. Class AAAAA will be full of storylines with the most important currently surrounding No. 2 Southwest DeKalb. The Preseason No. 1 edged Class 2A No. 1 Therrell 88-87 before losing to Class 7A No. 4 Discovery 70-68. The Panthers are without Miller Grove transfers Terrence Edwards and Maurice Harvey, the reigning Region 5 Player of the Year. Their eligibility is up in the air. With the two, Southwest DeKalb can deploy one of the best starting fives in the state. Without Edwards and Harvey, the trio of KD Johnson, James Glisson III and Eugene Brown III is more than enough to win games, but their depth will be tested. Junior Jarrett Walton has already paid dividends and could be an important X-Factor for the Panthers. No stranger to having the target on their back, No. 1 Buford claims pole position. The Wolves beat No. 10 Woodland-Stockbridge 66-55 behind Oklahoma State-signee Marcus Watson’s 33 points and 5 rebounds. The Wolfpack slip two spots at 0-2 but cling onto a spot in the Top 10 due to a difficult schedule. The decision for Jalen Mason to stick with basketball his senior season is a big positive for Woodland after his playing status was initially uncertain. No. 3 Fayette County moves up three spots after rebounding from an 86-73 loss to East Coweta by beating Class 4A No. 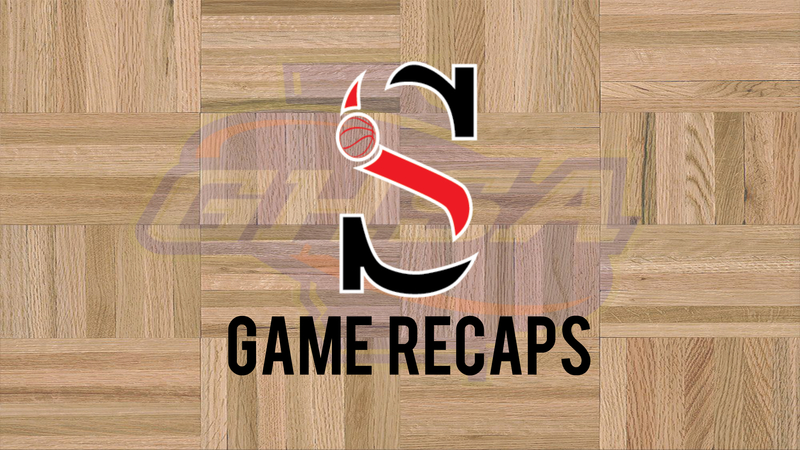 3 Sandy Creek 74-66 and surviving Newnan 56-55. The three-point reliant Tigers will need to find consistency, but when their shots are falling they are tough to beat. They climb over No. 4 Eagle’s Landing who lost to Class 7A No. 7 Westlake 79-69 without Kirshon Thrash and No. 5 Lithonia who lost to Sandy Creek 65-61. Starr’s Mill (0-1) was upended by Lakeview Academy 56-55. All-State forward Jamaine Mann, a transfer from ELCA, reportedly did not play. Replacing the Panthers in the Top 10 is No. 9 Maynard Jackson. The Jaguars beat Class A-Private No. 5 Trinity Christian 70-62 and Miller Grove 87-72. In Class AAAA, No. 2 St. Pius X steamrolled Demopolis (AL) 76-42 and No. 3 Sandy Creek earned wins over Whitewater (63-58) and Class 5A No. 5 Lithonia (65-61) after losing to Class 5A No. 3 Fayette County 74-66. No. 7 Westover disappointed in their season opener losing 61-52 to Lee County, who finished just 9-18 last year in Class 6A. The Patriots sink three spots. No. 4 Woodward Academy benefits from Westover’s defeat and moves up a spot after a tough 71-64 loss to Class 7A No. 9 Lambert, the War Eagles proving they can play with one of the state’s most consistent winners. Moving up the poll is No. 6 Henry County. The Warhawks climb two spots after beating No. 8 Carver-Columbus 59-56. Josh Steele scored 16 points while Wisdom Uboh tallied 12 points, 7 rebounds and 6 assists. Defending Class AAA state champion No. 1 GAC lost to Peachtree Ridge 73-65. The Spartans hold serve at No. 1 however since No. 2 Morgan County and No. 3 Johnson-Savannah have yet to tip-off. The Sharman White era is off to a good start at No. 5 Pace Academy. The Knights beat Marist 56-44 before drilling Creekview 82-61. Preseason All-State sophomore forward Cole Middleton had 17 points, 10 rebounds and 4 blocks against the Grizzlies. The high expectations bestowed upon No. 6 Dawson County looked warranted in their 73-25 throttling of a young rebuilding Flowery Branch team. No. 8 Liberty County drops a spot after a 60-59 loss to Bradwell Institute. No. 7 East Hall leap frogs the Panthers after beating Banks County 62-58 and losing to Class 7A No. 8 Mountain View 66-61. No. 10 Redan may be living on borrowed time right now. They remain in the poll due to inactivity among the rest of the state. The Raiders lost to Butler 68-60 and Roswell 71-67 with a 51-36 win over Lakeside-DeKalb sandwiched in between. There is no movement in Class AA even though No. 1 Therrell lost to Class 5A No. 2 Southwest DeKalb 88-87. In the loss against the shorthanded Panthers, Roman Son proved worthy of his Preseason All-State accolades, hanging 29 points on Southwest DeKalb while Ra’Sean Frederick posted 20 points. No. 2 Woodville-Tompkins dismantled Groves 89-45, Preston Crisp scoring 28 points and Charleston Willingham netting 18. Freshman Alfred Coaxum lived up to his billing with 20 points. The only other Top 10 team that was active was No. 6 Northeast-Macon, who lost to defending Class 5A state champion Warner Robins 52-49. Class A-Private feels much stronger with the additions of No. 2 Mt. Bethel and No. 5 Trinity Christian. Mt. Bethel lost in overtime to The Heritage School 64-62 before pulling a rabbit out of their hat to beat No. 4 ELCA 50-49 after a Jordan Smalls turnover with 10 seconds left led to a game-winning Stanley Eze layup with 2.6 seconds remaining. Mt. Bethel’s extreme lack of depth will be interesting to keep an eye on as the season progresses. The aforementioned Trinity Christian Lions rise one spot after wins over Miller Grove 78-67 and Southwest Atlanta Christian 58-47 with a 70-62 loss to Class 5A No. 9 Maynard Jackson in between. No. 1 St. Francis maintains their grasp over the classification, bouncing back from a 78-75 loss to Class 7A No. 7 Westlake by hammering Creekview 87-50 and Brewbaker Tech (AL) 94-70. No. 6 Holy Innocents’ lost to Duluth 74-69 while No. 7 Walker won a thriller in overtime against Cumberland Christian 88-87, Chandler Baker hitting a buzzer-beater to put the icing on his 34-point, 10-rebound, 3-block performance. 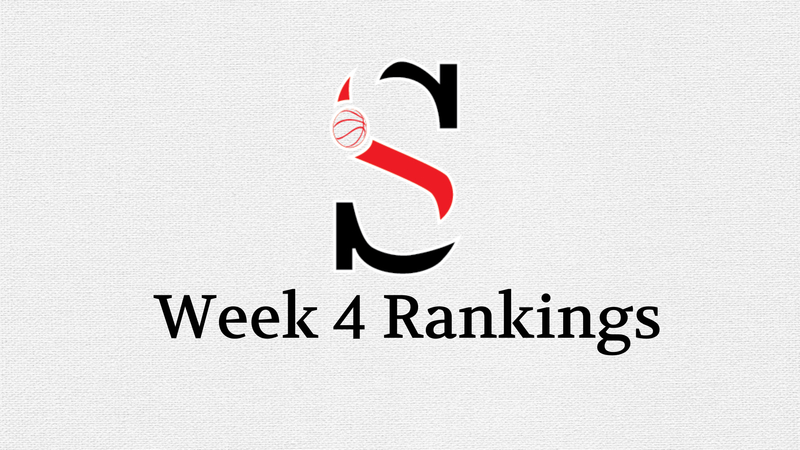 North Cobb Christian (0-1) exits the poll after losing 52-44 to Shaw. No. 9 Lakeview Academy replaces the Eagles. The Lions knocked Starr’s Mill from the Class 5A Top 10 with a 56-55 victory, Blake McIntyre scoring 22 points. With just handful of results, there are no changes in the Class A-Public poll. No. 4 Drew Charter is off to a 3-1 start after an early loss to Class 7A No. 4 Discovery. The Eagles beat The King’s Academy 73-53 as their best win to date. No. 6 Wilcox County outscored Crisp County 84-73, No. 7 Lanier County flexed its muscle in a 63-52 win over Class 7A Colquitt County, 6-foot-4 freshman EJ Brown totaling 17 points, 5 rebounds and 3 steals. No. 8 Calhoun County blasted Hawkinsville 73-36.